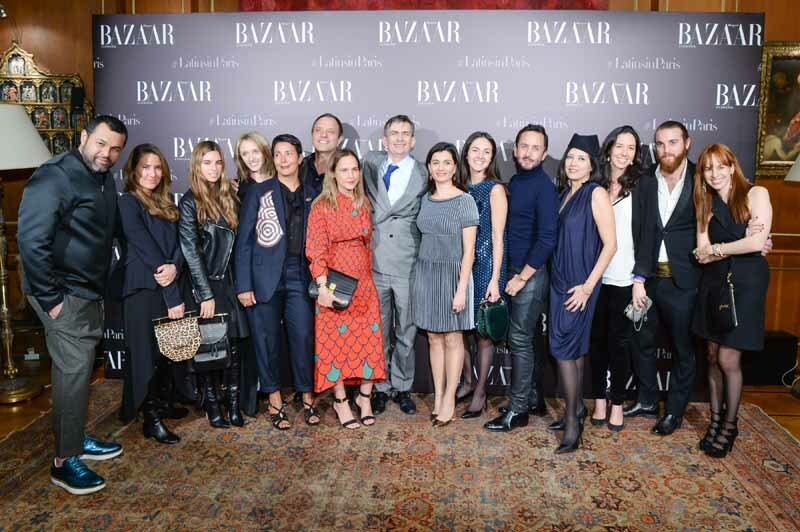 In Paris, last March 5, 2015, Harper’s Bazaar Mexico and Latin America celebrated Latin American designers as part of the Prêt–a-porter week. The Ambassador of Mexico to France Agustín García-López Loaeza, Mrs. Katya García-Lopez Loaeza and Brenda Díaz de la Vega, Editor in Chief of Harper´s Bazaar Mexico & Latin America hosted a cocktail to celebrate Latin American talents during Paris Fashion Week. For the first time ever, Mexican and Latin American designers was celebrated outside of their countries thanks to Harper´s Bazaar. The magazine is creating the first ever platform to increase visibility for designers coming from the region, in hopes that the industry will embrace these young designers and impulse their growth.